Check out some other Paper Folding Activities. 8 1/2 x 11″ typewriting paper is folded in half and a freehand cut is made to suggest the bird form. 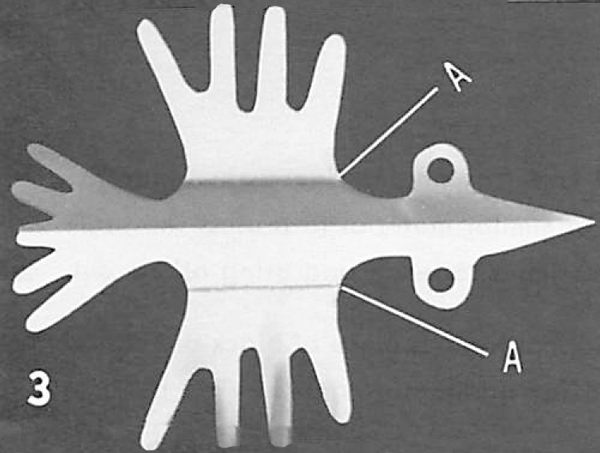 A paper punch is used to make the eyes. 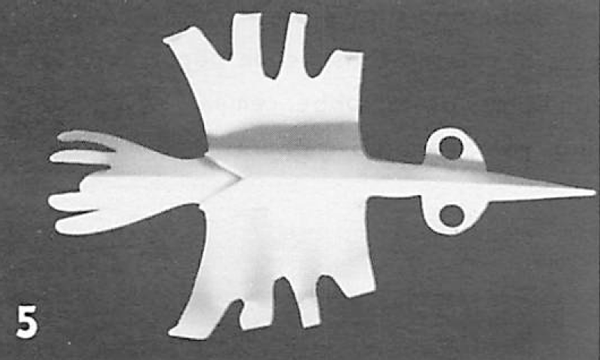 Unfolding the paper reveals a symmetrical design. 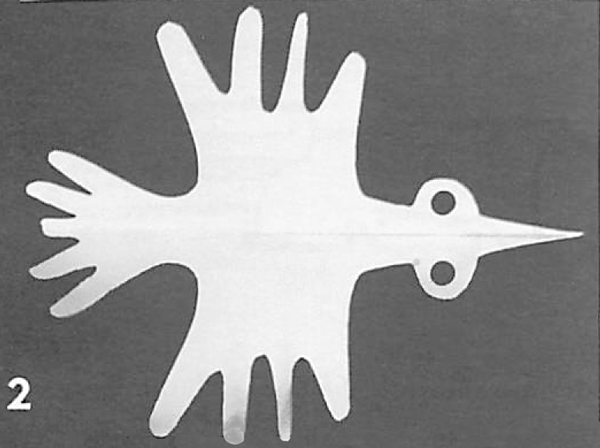 Using a ruler as a straight edge, fold upward the wings of the bird at points “A”. In making the pleat, draw two triangular peaks lightly with pencil as shown in Figure 4. Carefully fold the pleats down; this will bring the tail of the bird up. The wing tips are curled by rolling them tightly around a pencil. 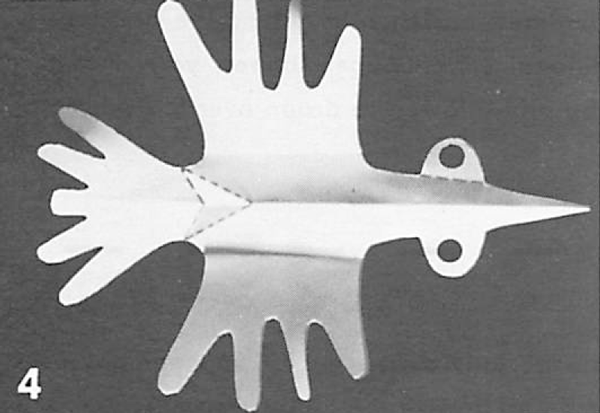 In Figure 6 another pleat is made at the neck; and the bird is suspended from the ceiling with thread. 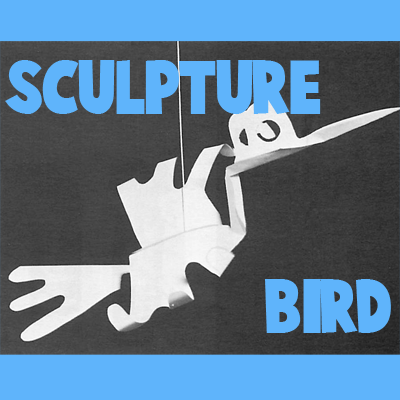 And, there you have it…..you just finished making a Paper Sculpture Bird. 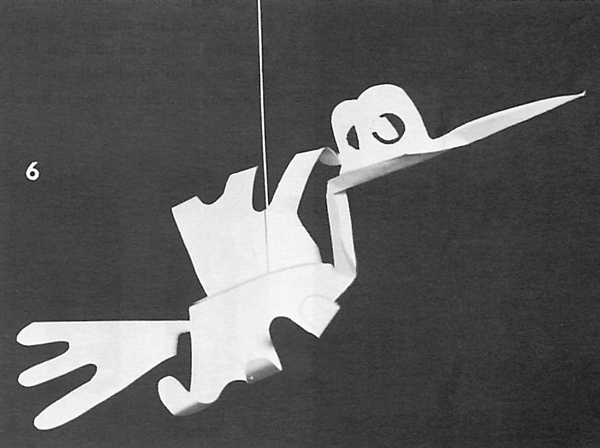 This Paper Sculpture Bird would look so cool hanging from your bedroom ceiling. Where are you going to hang your bird?